The band got their start back in 1999 when bassist Eric Kuthe, drummer Chris Bender and guitarist Travis Cardinal started jamming together in Toronto, Ontario. Combining their love for Black Sabbath, Cream and Pink Floyd with the fuzzed out sounds and chill vibes of the California desert rock scene, the trio crafted a sound that was as heavy as it was psychedelic. In addition to his guitar duties, Cardinal would eventually take on the roll of the band's vocalist and they quickly got started writing material for their first release. Embracing the genre of stoner rock in more ways than just their sound, the band chose the name Sea of Green, a rather overt reference to a method for growing marijuana (go ahead, punch it into Google and see what comes up). Within a year, the band had recorded and released their first EP, titled Northern Lights (another reference to their obvious drug of choice). These six tracks showcased the massive riffs and trippy vocals that would be expanded upon greatly on their first full length album less than a year later. Sea of Green wasted no time getting back into the studio, this time hiring the talents of producer Nick Blagona whose previous credits included albums by legends Deep Purple and Nazareth among others. The result was Time to Fly, an album that was as explosive as it was laid back and as heavy as it was groovy. On this one, the west coast, surfer fuzz of Fu Manchu is an obvious influence on Sea of Green's immense sound. See for yourself on tracks like "Women Today" and "End of Eternity". Also notable on Time to Fly is the band's mind altering rendition of Pink Floyd's "Breathe". The band toured extensively for the album, incorporating enough psychedelic lighting and incense to give their live shows the same vibe purveyed by their music. But by the time they settled down to write and record the followup, drummer Chris Bender had decided to leave the band. Matt Dowd stepped in on drums and Sea of Green got to work on what would unfortunately be their last album. 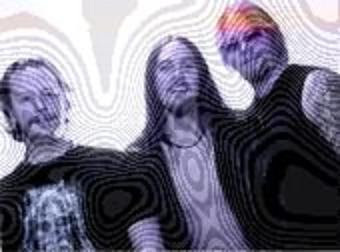 Chemical Vacation was released in 2003 and it saw the band steering away from the stoner rock for which they'd become known in favor of a more commercial, alt-rock sound, for lack of a better term. The album still maintained a certain level heaviness, but a lot of the 70's vibe was lost in favor of a sound that owed more to 90's era grunge…think Alice in Chains. This is apparent in the review posted right here on Heavy Planet back in 2008, when Chemical Vacation was featured as the "Album of the Day". More touring followed the release of the album, but Sea of Green never quite received the commercial success that they deserved. For readers of past Flashback Fridays, this should be starting to sound awfully familiar. Like so many others, the frustrations of life in the music biz finally took their toll and the band broke up in 2004. If you've never listened to Sea of Green, I can almost guarantee you'll like what you hear. Start with Time to Fly, work your way backwards to Northern Lights and then give Chemical Vacation a try. And while you're at it…why not kill two birds with one stone and check out our NBTBOT Deep Sea Green as well…you can't go wrong either way! Really class blog and posts too.I hope that one day I can write on a subject with as much knowledge as you’ve got on this one!